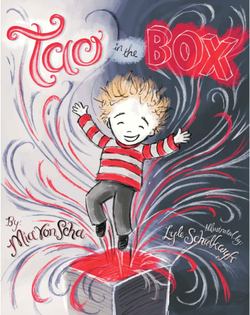 Tao in the Box is a delightful and inspirational children's picture book with vivid and enticing illustrations. Tao in the Box explores the passage in the Tao Te Ching: "The Tao begot one. One begot two. Two begot three. And three begot the ten thousand things". It shows, in simple, entertaining verse, how the world began from nothingness, expanded to the Yin and Yang of opposites and how YOU were created to connect these opposites and bring the rest of creation to life. Tao in the Box is a must for every parent trying to help their children to find their place in the world.